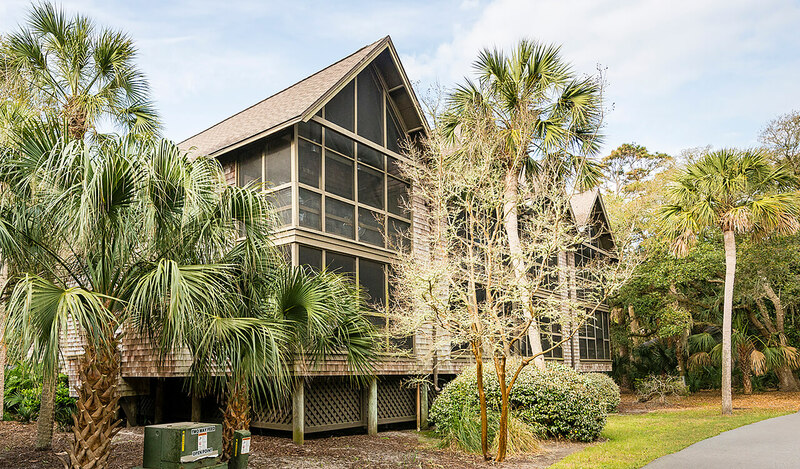 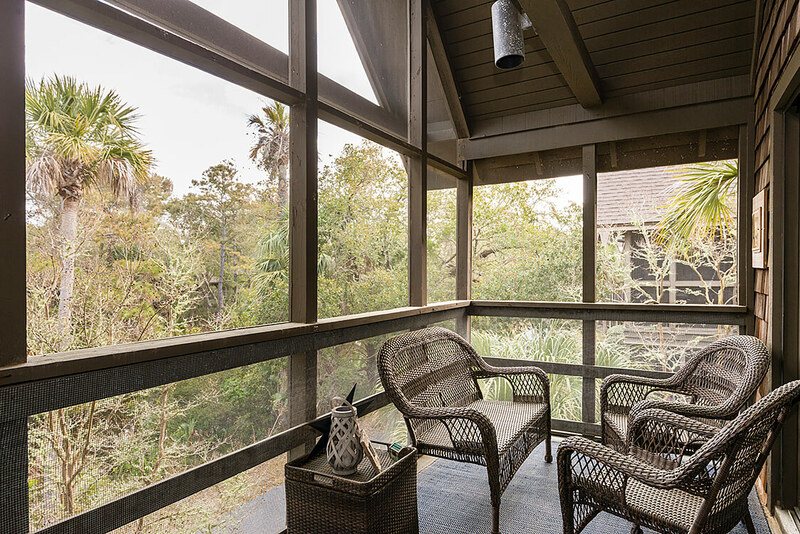 4247 Mariner’s Watch Drive, a quiet, upstairs end unit villa, enjoys serene lagoon views and is just a short walk to Kiawah’s 10-mile beach. 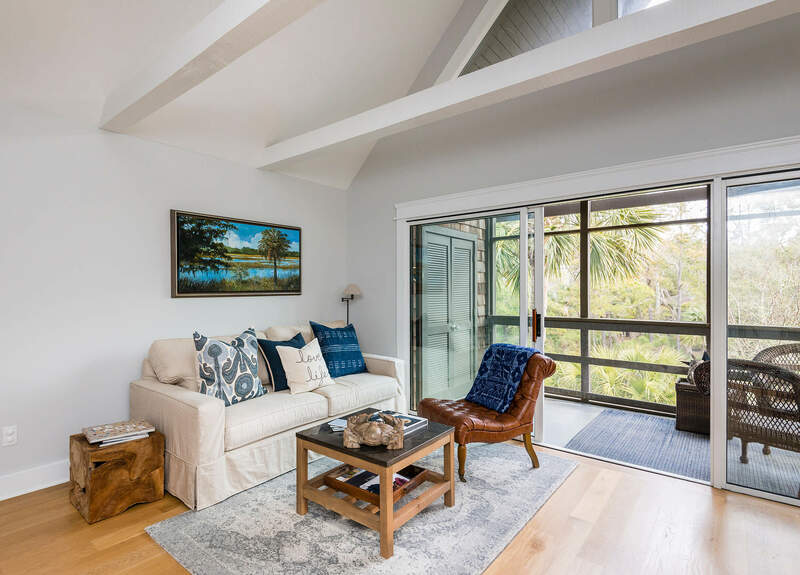 Situated near Night Heron Park, it also enjoys easy access to East Beach Village, The Sanctuary Hotel, award-winning golf courses, and The Sandcastle—the owner-exclusive community and recreation center with private pool, outdoor bar and grille, ocean views, and beach boardwalk. 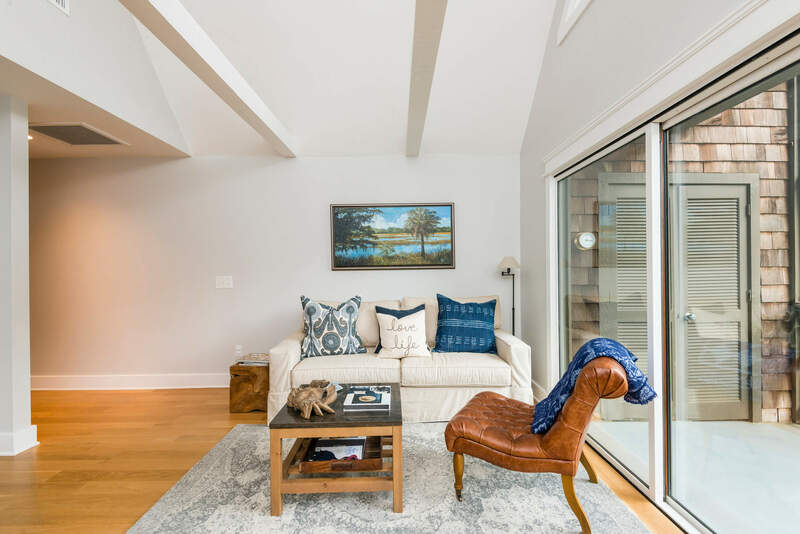 Completely renovated in 2015, the villa’s ceilings were raised to add more natural light and a greater sense of space. 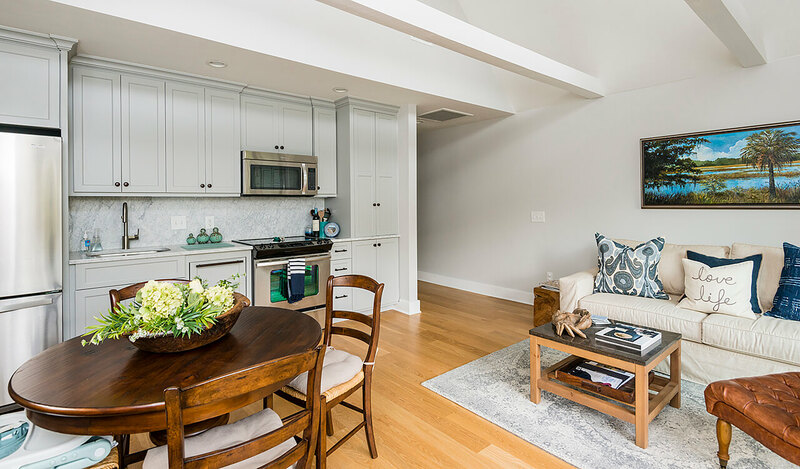 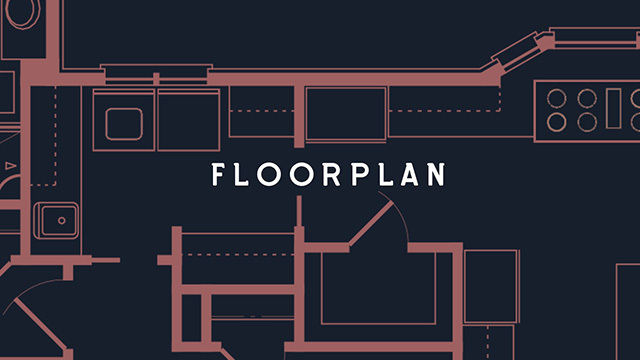 The open floor plan features hardwood flooring, crisp trims and moldings, a soothing color palate, and new solid interior doors with upgraded hardware. 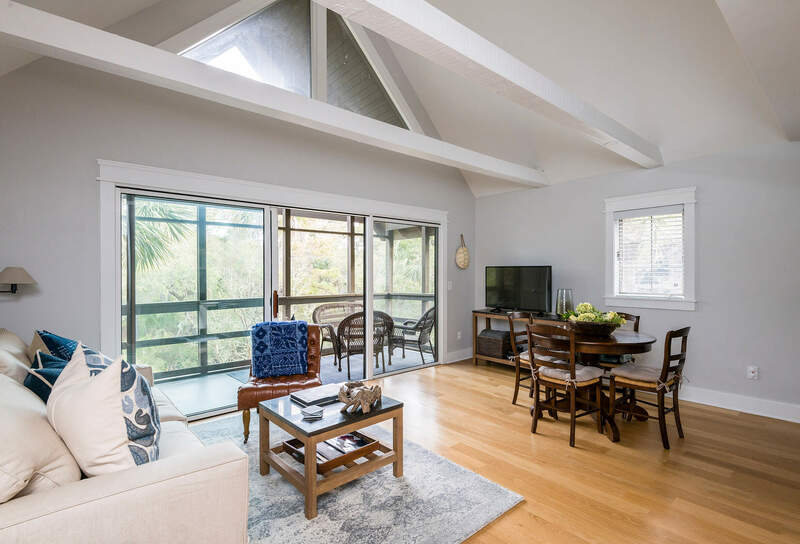 The living room features a vaulted beamed ceiling, with tall triangle windows and a wall of floor-to-ceiling windows and sliding glass doors out to the screened porch. 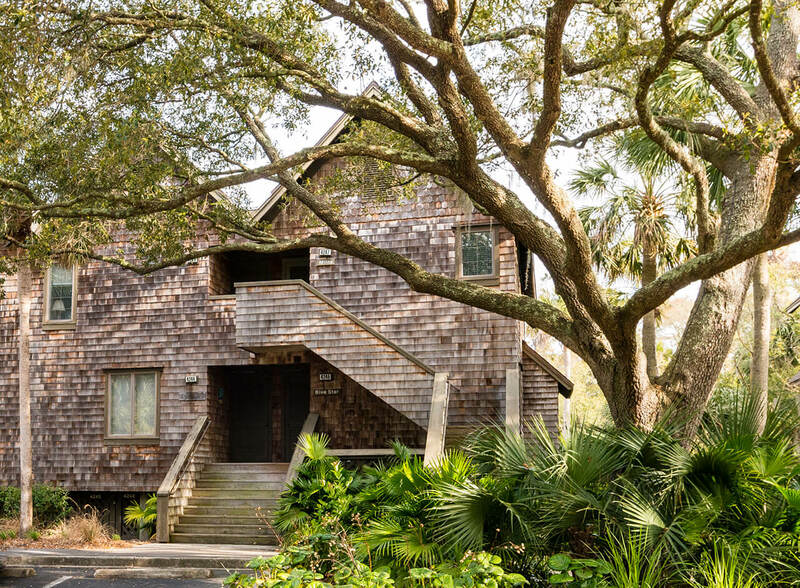 Overlooking the lagoon, the screened porch features vaulted beadboard ceilings, shake shingle walls, and lots of space to dine and relax. 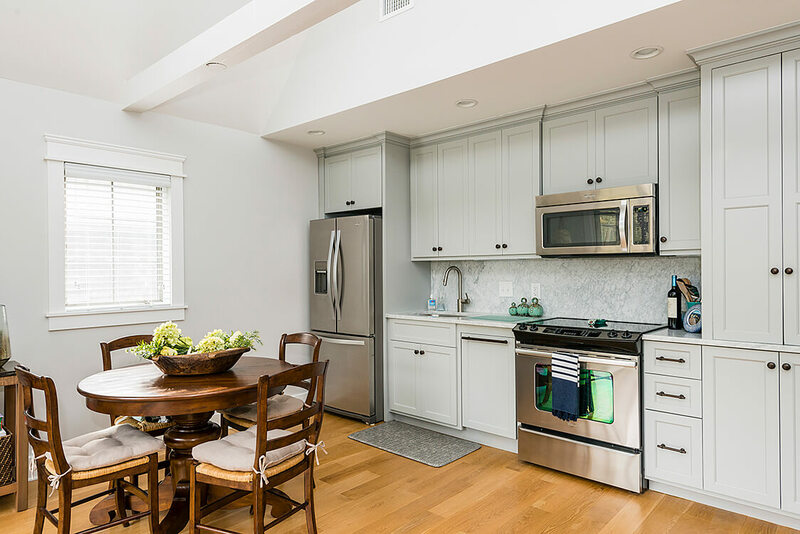 The kitchen is completely open to the living room and features dove grey soft-close cabinetry, new stainless steel appliances—including a Bosch® panel-front dishwasher—and new designer countertops and backsplash. 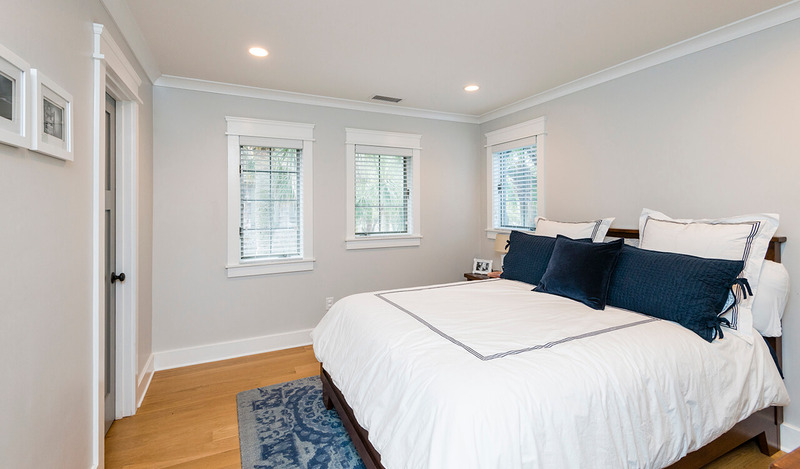 The spacious bedroom enjoys tall ceilings, hardwood flooring, crown molding and deep baseboards, solid doors, recessed lighting, and three large picture windows. 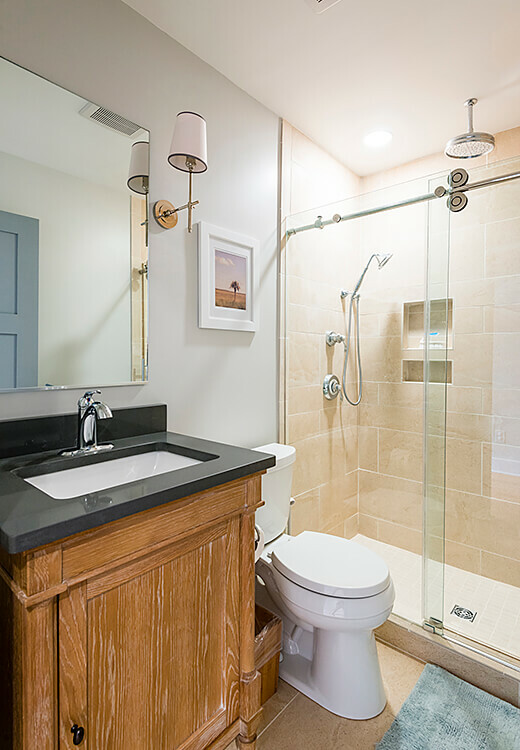 The upgraded bathroom features new stone flooring, a granite-topped vanity, updated fixtures and finishes, and a large stone lined walk-in shower with a rain showerhead and sleek glass barn doors. 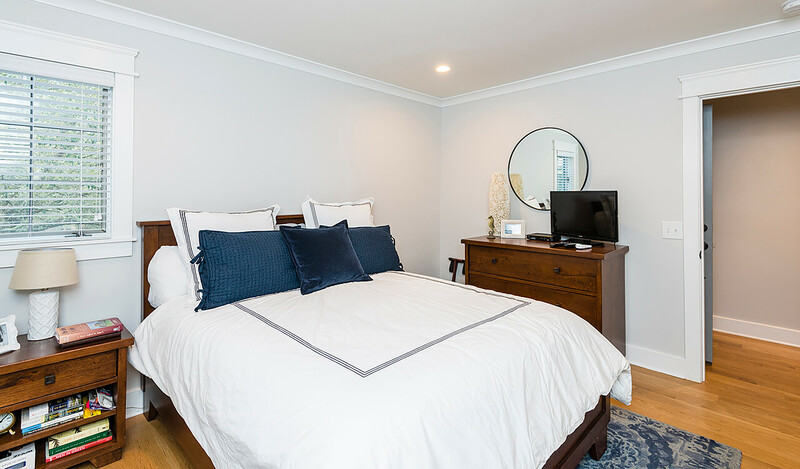 Additional features of this move-in ready villa include all new HVAC, plumbing, and electrical systems; new interior and exterior front doors; new water heater; and an in-unit laundry room.